Industria has successfully participated in a variety of project types. Listed below are projects that are representative of our experience. Engineered Materials Arrestor Systems (EMAS) are high energy absorbing materials selected with strength so that they reliably and predictable crush under the weight of an aircraft. They are installed on the end of runways as a safety measure. 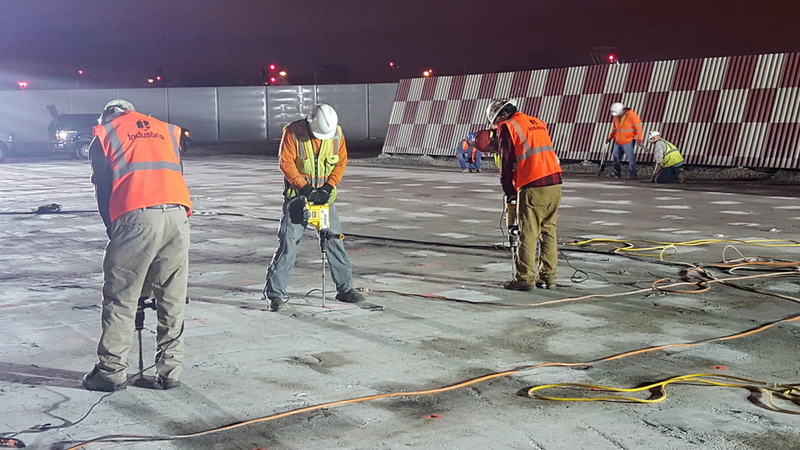 At Chicago Midway Airport, Industria assisted with site preparation of existing asphalt base (strut channel/ geotextile) and installation of City-supplied silica foam material. 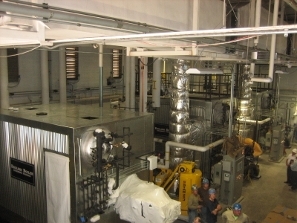 The work included coordinating with Com-Ed to replace the existing base electrical utility system with a new underground system; installing new transformer pads, transformers, and meters; building or extending enclosures and adding shrubs around transformers; performing electrical service switchovers at each building; demolishing the old electrical utility system, and installing digital power monitors for each of the buildings or service entrances. Performed excavation. Installed bridge foundations and abutments. 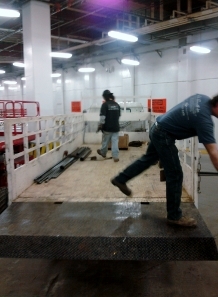 Assembled and erected steel bridge structure and installed concrete deck. Improved and upgraded the complex electrical equipment, components, and distribution equipment at Dispersat Barrier IIA to bring voltage flicker, harmonic distortions, and power factor to acceptable levels. 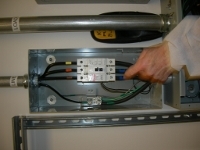 This was achieved by constructing a power quality building which will contain harmonic filters, switch boards, and mechanical equipment for the building. In addition, new electrical connections to transformers and Dispersal Barrier IIA were established. Interior Renovations including masonry, ceramic tile in bathrooms, carpet installation, Vinyl exterior windows installation and fire shutter doors upgrade. 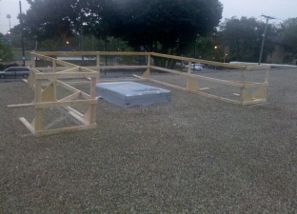 $1.5 million project at the VA Jesse Brown Hospital in Chicago, IL. 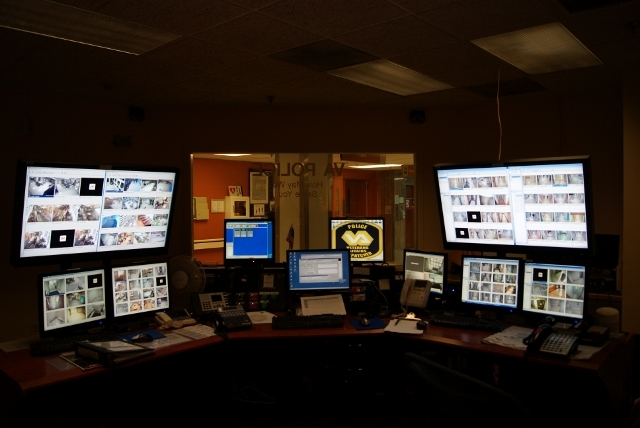 Through this project, Industria furnished all labor, materials, equipment, and qualified supervision necessary to replace and integrate the existing CCTV monitoring and recording security systems and incorporate them into one seamlessly integrated Video Management platform. 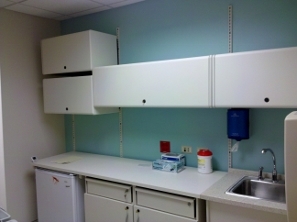 This project was a $900,000 clinic renovation at the VA Jesse Brown. 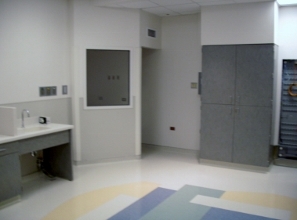 Through this project, Industria supplied all labor, materials, equipment and supervision to ventilate the Employee Health Compensation & Pension Offices at the Jesse Brown VA Chicago Medical Center. 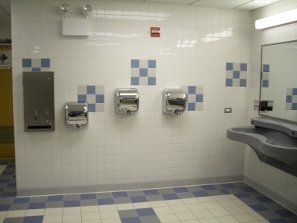 This project was an $900,000 design/build shower renovation at the Metropolitan Correctional Center in Chicago Illinois. Through this project, Industria renovated the shower rooms on floors 12, 13, 14, 15, 16, 17, and 18. 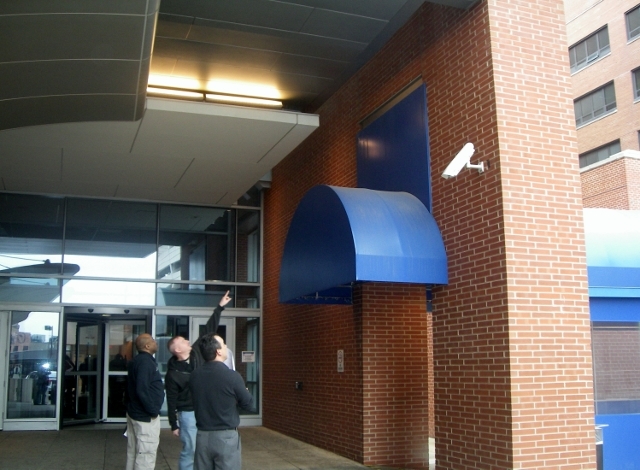 This project required extensive pre-planning due to strict security regulations of entering and exiting the open/active prison. 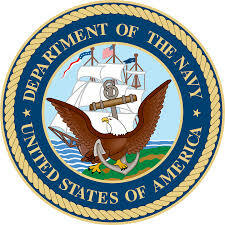 $300,000 job at the Marine Reserve Center in Chicago Illinois. The purpose of this project was to replace two existing boilers with two high efficiency condensing boilers and two new ventilation systems to deliver tempered outside air to individual rooms. 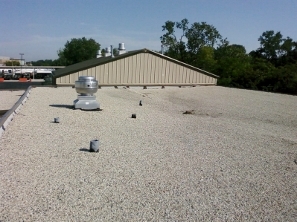 This project required extensive pre-planning to insure superior safety and quality control management. 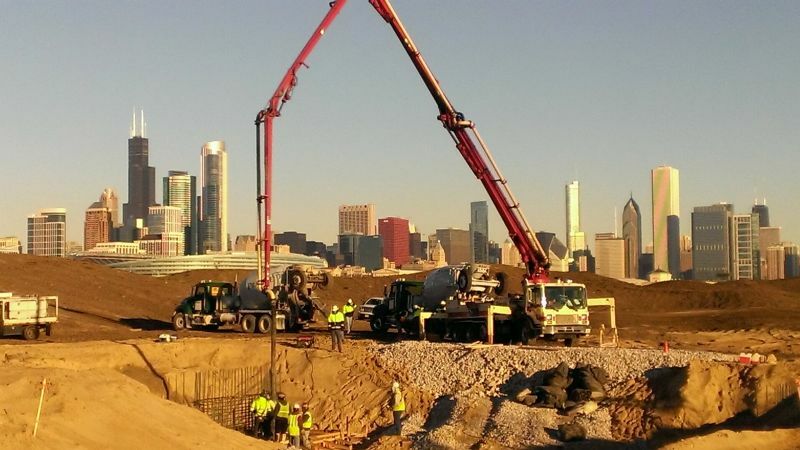 $500,000 job in Hines IL. 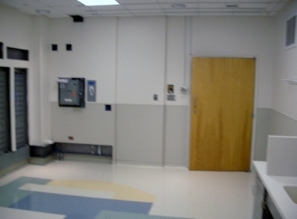 Through this project, Industria provided all labor, materials, tools, equipment, and qualified supervision necessary to renovate room C134 in the radiology department of VA Hines Hospital while maintaining strict infectious control measures and coordinating critical task in order to protect occupants on neighboring floors and to not disrupt ongoing hospital activities. 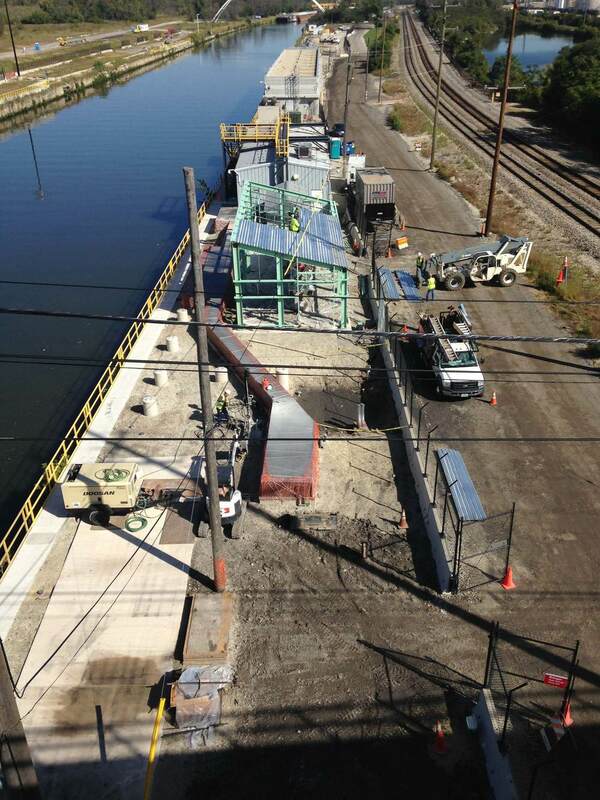 $1.5 million job in Hines, IL. Through this project, Industria provided all labor, materials, tools, equipment, and qualified supervision necessary to relocate the Women's Clinic to the 12th floor of building 200 at VA Hines Hospital while maintaining strict infectious control measures and coordinating critical task in order to protect occupants on neighboring floors and to not disrupt ongoing hospital activities. 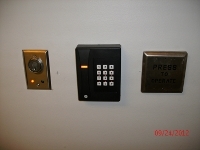 This was a $150,000 project at the GSA Harold Washington in Chicago, IL. 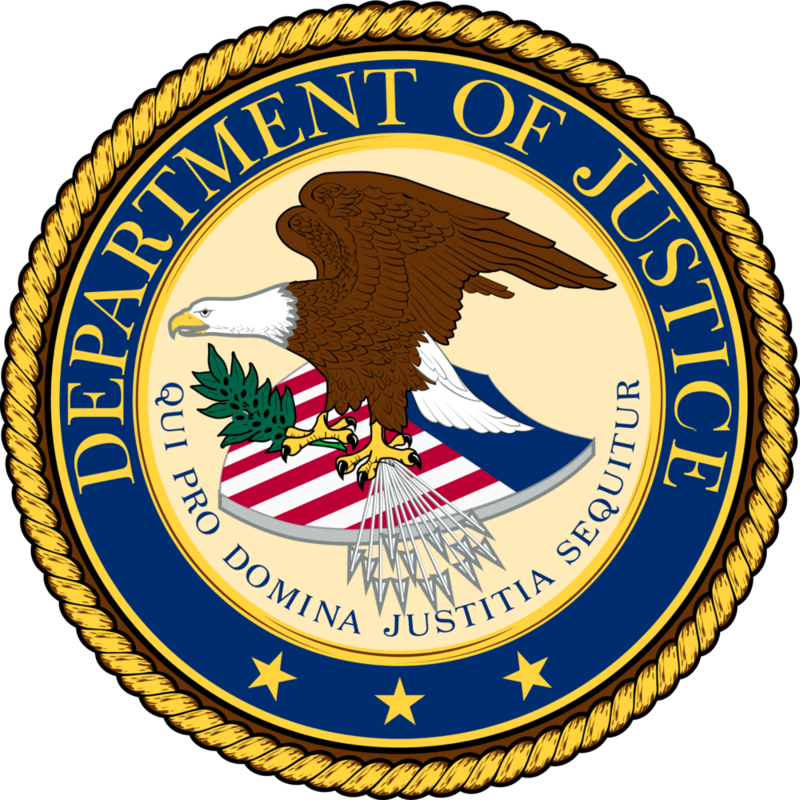 Through this contract, we worked with the GSA to replace the lower level sprinklers ahead of schedule. Industria along with our subcontractors worked closely with the GSA to insure that each night the fire alarm was properly bypassed to avoid any false alarms and disruptions in the building. 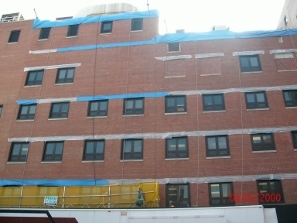 This is a $550,000 project at the VA Jesse Brown Hospital. 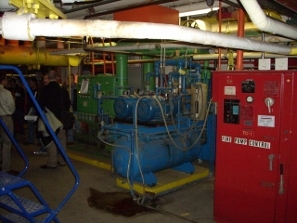 Through this contract, Industria furnished all labor, materials, equipment, and qualified supervision necessary to install the Hot Water Converters in the basement of the building. 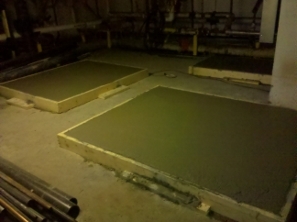 This piping mechanical project includes the construction of a concrete slab with two masonry walls for the equipment. 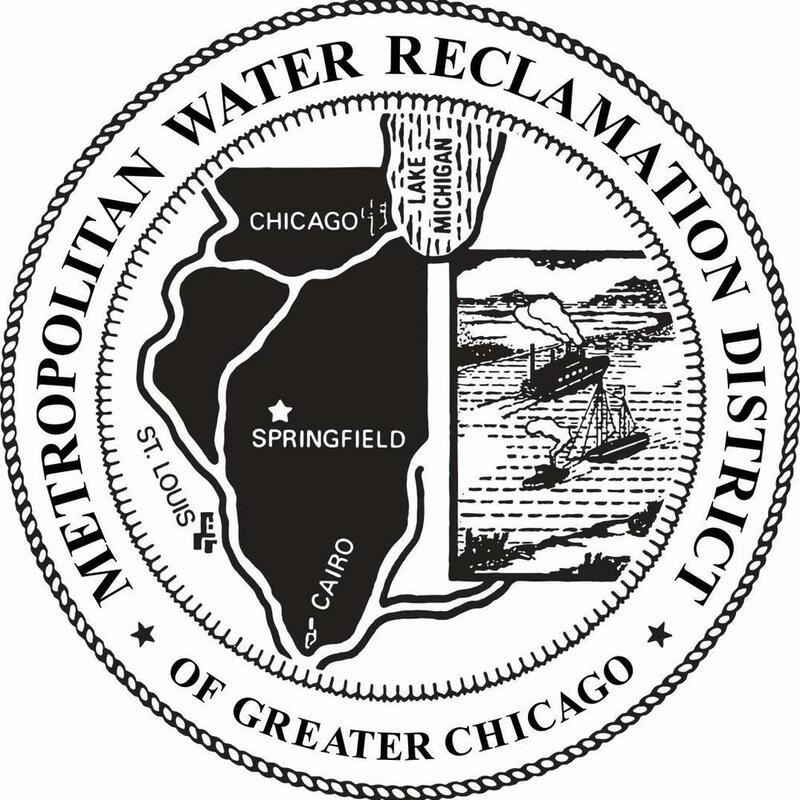 We have received a MATOC Contract for 1 year with four (4) one year renewals with a total program costof $48M. This contract is under our Industria Paschen JV. 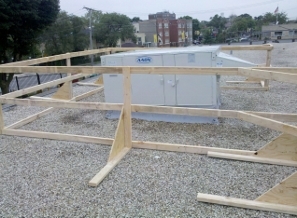 This design build project consisted of interior and HVAC improvements. 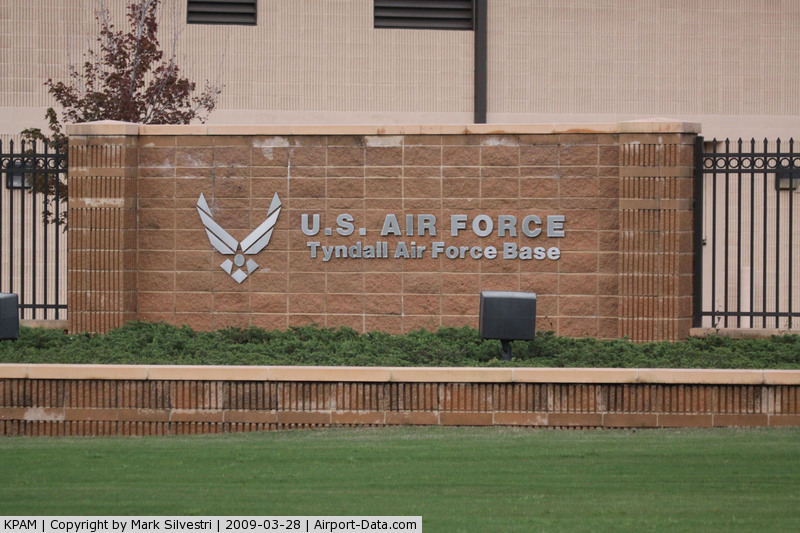 This included painting of the entire facility, replacement of the acoustical ceiling tile and grid system, replacement of six (6) roof top air handling units with required electrical work and fire protection work. 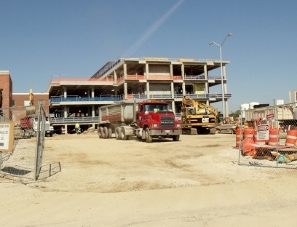 This is a $1,000,000 project at the VA Jesse Brown Hospital in Chicago, IL. Through this contract, Industria furnished all labor, materials, equipment, and qualified supervision necessary to perform masonry restoration and repair work. This is a two year project with the VA Jesse Brown in Chicago, IL. 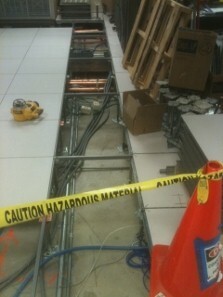 This project is to update all the existing wire in the hospital. 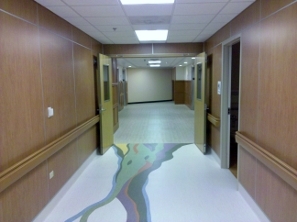 This project includes working in an active / occupied hospital. Industria supplied the design and construction services along with associated labor, material and equipment to provide a security gate at the Taylor Avenue Entrance to Jesse Brown VAMC. 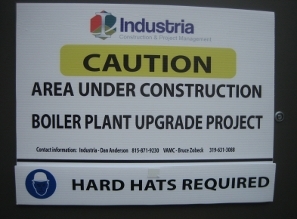 Industria provided all labor, material, equipment and supervision to perform a broad scope of work, including Demolition, Carpentry, Mechanical, Electrical, Plumbing, Fire Safety & Detection in order to complete the remodel of the existing area. Industria removed and relocated two existing flagpoles near the entrance to Jesse Brown VAMC and install one additional flagpole in a new location. After locating underground utilities in the provided area of installation, we installed three total flagpoles, adding lighting and landscaping. 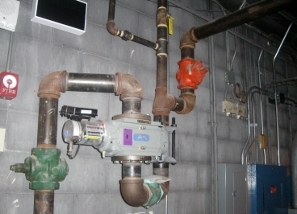 Industria installed a steam humidifier in existing ductwork within the Cath Lab at Jesse Brown VAMC. Strict infectious control measures were provided during this project. Industria supplied all labor, materials and equipment to remove existing and install new equipment, cables and electrical accessories as directed to complete the scope of work. All work installed, included temporary partitions, Fire Safety and Infection Control standards and Interim Life Safety Measures per standard guidelines outlined in the specifications. 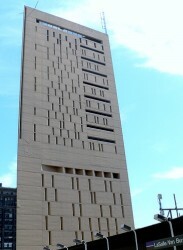 This was a $600,000 job that consisted of renovating the 12th floor of the computer room in the Ralph H. Metcalfe Federal Building in Chicago. The project scope consisted of renovations that included adjusting the existing suspended ceiling, lighting, fire protection and fire alarm system, finishing of walls, wall covering and base. 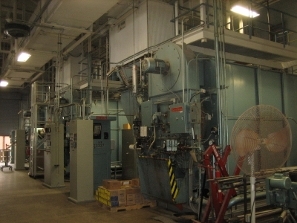 This project was a $5M job that consisted of replacing three (3) water tube steam boilers in the central heating plant, including feed water economizers on each boiler, feed water piping, steam piping, make up water softening and de-alkalizer system, fuel oil piping, compressed air piping, exhaust flue expansion joints, fuel oil supply pumps, condensate piping, condensate tank, boiler test station, floor and wall painting and other items. Industria provided Interior Architectural improvements to the selective corridors on multiple levels to include: sheet vinyl flooring, acoustical ceiling, electrical, lighting, wall protection and mechanical finishes. 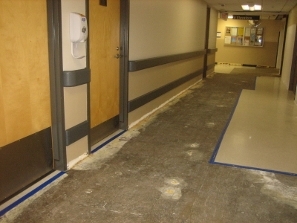 With the Hospital fully operational, work was completed over 30 phases during off hours. Industria provided design and installation of structural brackets and Helical Tie Backs to support the existing tunnel from lateral and vertical earth pressure loads. Industria was the Prime Contractor for the fabrication and installation of the structural steel skylights spanning over three (3) Chicago streets and two (2) live railroad tracks. Industria provided design and installation of a Micro Pile system to enhance the foundation capacity for the additional building loads. 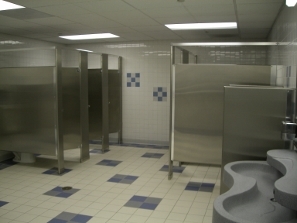 This project encompassed the complete interior demolition of the women's and men's locker rooms. 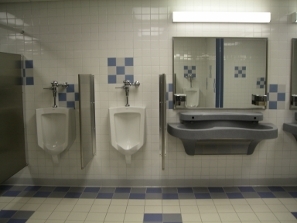 As the general contractor we installed all new mechanicals and finishes for two completely new restrooms.